Home Tennis Halep and his skill with a soccer ball: "My record is in 89 touches in a row"
Halep and his skill with a soccer ball: "My record is in 89 touches in a row"
In an interview with FIFA.com, the Romanian tennis player, current number 1 in the world, revealed her passion for the world of football. His idol is footballer Gheorge 'Gica' Hagi. The Romanian Simona Halep, world number one in women's tennis, affirms that she "loves" football, that "follows" Leo Messi and Cristiano Ronaldo and that her record of touches on the ball "is around 89" .
" I love football, "Halep told FIFA.com during his stay at the Australian Open. "My father was not professional but he loved football and everyone tells me it was good." I played a lot football when I was a kid, in the street with my cousins and my brother ", followed. Halep believes that his" ability to maintain balance is natural "and that he did not do anything special besides practicing a lot as a girl, hence he can now boast of his number of touches of the ball. "I think my record is around 89" , underlined. The Romanian has no idol to anyone related to tennis, but the soccer player Gheorghe Hagi, idol of his country. "I was very happy to meet him as a child, and when I discovered that he knew who I was, I could not believe it" , declared. 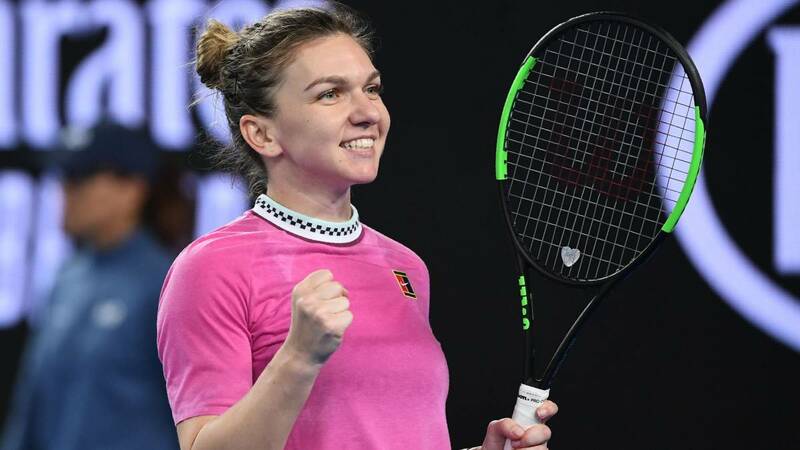 The world number 1 commented that her father and brother, traveling with her, " football all the time, and sometimes I can watch games ", explained Halep. "I like to follow the Romanian team and support her whenever I can", she added. Sobre who is for her the best soccer player in the world, not finished choosing between Messi and Ronaldo. "Many people talk about Messi and Ronaldo the best, and I want to say that I admire them both. They are different and very special ", concluded Simona Halep.